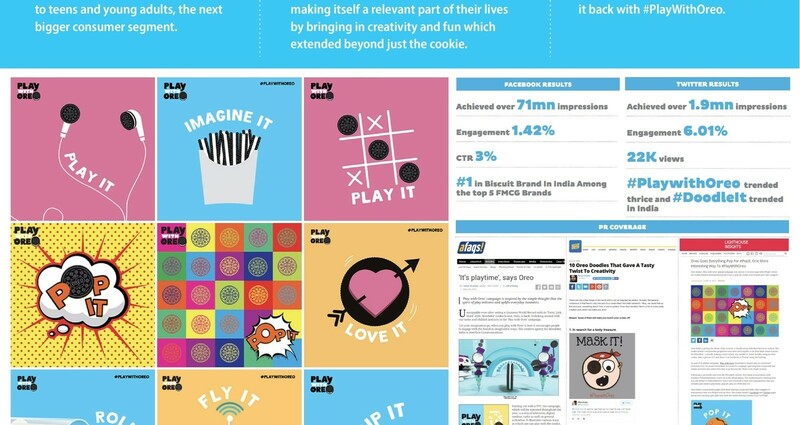 A multi-faceted campaign that got teens and young adults to #PlayWithOreo. Thereby making itself a relevant part of their lives by bringing in creativity and fun which extended beyond just the cookie. Oreo was perceived as a brand only for kids. We had to shift our focus from kids to teens and young adults, the next bigger consumer segment. It was seen that spontaneous fun decreases with age. So we brought it back with #PlayWithOreo.